The Staff Selection Commission (SSC) has begun the online registration process for Junior Engineer Exam 2019 from 01 February, 2019. Candidates, who are interested and eligible, can submit their online application through the official website of SSC. The last date to apply for the SSC-JE 2019 exam is 25 February, 2019. The fee to pay for online application for the SSC-JE recruitment exam is Rs. 100 which can be paid BHIM UPI, SBI Challan/ Net Banking or by using Visa, Mastercard, Maestro, RuPay Credit or Debit card. Female candidates and candidates belonging to reserved categories such as SC, ST, PwD and Ex-servicemen are exempted from payment of application fee. The SSC-JE 2019 examination will be conducted in two phases – Paper I will have 200 marks questions and Paper II will have 300 marks question. To apply for SSC-JE 2019 examination, interested candidates should possess a Diploma or Degree in engineering. For detailed information, candidates can check the official SSC-JE 2019 notification. 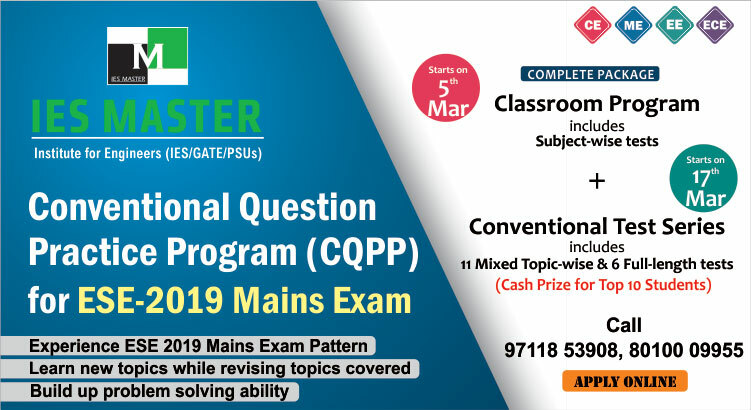 For the preparation of SSC-JE Paper-1 General Awareness section that carries 50 marks, IES Master is conducting General Awareness Classroom Course for SSC-JE 2019. The SSC-JE classroom course for paper-1 by IES Master will include all General Awareness topics as per the SSC-JE syllabus and 3 full-length online and offline tests. 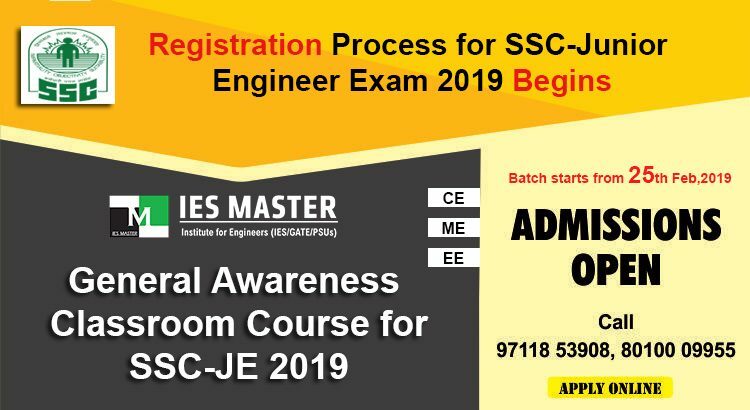 Interested candidates can register for IES Master General Awareness Classroom Course for SSC-JE 2019 today as online registrations are going on.